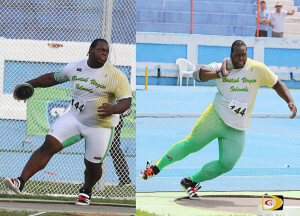 SAN SALVADOR, El Salvador—Eldred Henry used his experience from missing the podium two years ago in Canada, to land Discus Throw and Shot Put bronze medals, during the IX NACAC U23 Championships that wrapped up Sunday in San Salvador, El Salvador. Henry’s medals capped of a stellar meet for the BVI as five of seven athletes advanced to finals. On Friday, Henry opened his series with a 52.85m throw then recorded a season’s best 56.45m on his second attempt to secure the bronze, becoming the territory’s first to win a medal in a field event. His medal was the first since sprinter Dion Crabbe won two medals in 2000. 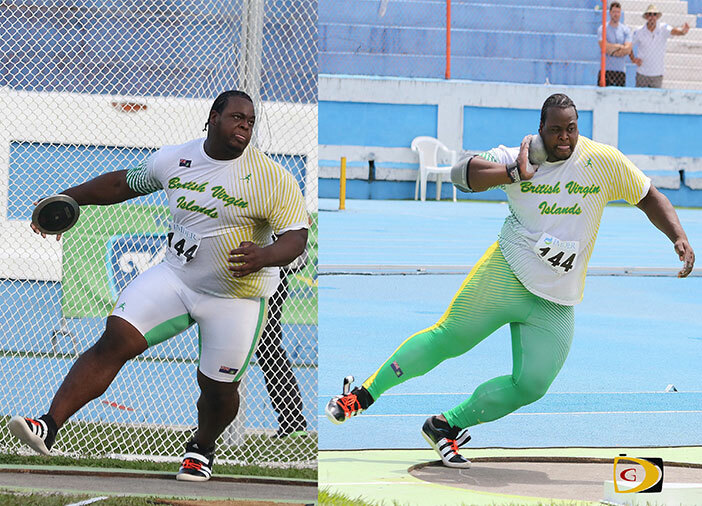 On Sunday, he added bronze in the Shot Put with a throw of 19.11m after placing fifth in 2014 and matched Crabbe’s two bronze medals haul 16 years ago. Henry said he was better physically prepared that last time as he had a long season and the meet was at the end. “This season, I had more time to plan out the meets I was going to and have a lot more left in the tank and still have more left for the Rio Olympics,” he said. Tynelle Gumbs finished fifth in the Hammer Throw with a best heave of 53.80m while twin sister Trevia’s throw of 46.76m, was good for eight place. Trevia was placed seventh in the Shot Put with a heave of 13.53m. Taylor Hill advanced to the 100m finals after running 12.09 seconds and was seventh in the final in 12.04. Khari Herbert was also seventh in the 400m after running a season’s best 46.55 seconds. He advanced with a time of 46.84. Shaquoy Stephens turned in a non advancing time of 10.95 seconds to finish sixth in the 100m prelims. He finished fifth in the 200m semis in 22.12 seconds but didn’t advance. Jonel Lacey missed the last qualifying spot in the 400m after running 55.62 seconds.